Pro Amnesty Equals Pro Abortion? Mother Teresa would not meet Zmirak’s pro-life test. But I suppose that’s conjecture – We cannot know for certain whether Mother Teresa would have supported sending the children of illegal immigrants, who know no other country than the U.S., to a homeless existence in a foreign country – a necessary qualification for being pro-life in Zmirak’s world. Go to the Catholic Key blog post here. Well I am Pro Life and Pro Amnesty. So there. This entry was posted in More Catholic than the Pope, Pro life and tagged Abortion, amnesty, Catholic, Immigration. Bookmark the permalink. 1 Response to Pro Amnesty Equals Pro Abortion? Won’t go to the pro-life amnesty issue, but retention of any type is unjust, destructive and not required by Catholic teaching on immigration. Most illegal immigrants are Mexican by everyone’s analysis. Mexicans do not want citizenship. They want jobs, stolen from a legal American worker, social services and free education. They would be essentially in the same boat as a person who immigrates through legal channels which is unfair to the moral and legal immigrant. Further, the Church teaches that immigrants must except in the most dire circumstances enter according to the law of the host country. Dire circumstance is not status of almost every illegal immigrant. It all sounds so charitable and it is so cruel to legal Americans, the families left behind and ultimately the illegal immigrant who will be exploited by politicians and employers for their own gain. 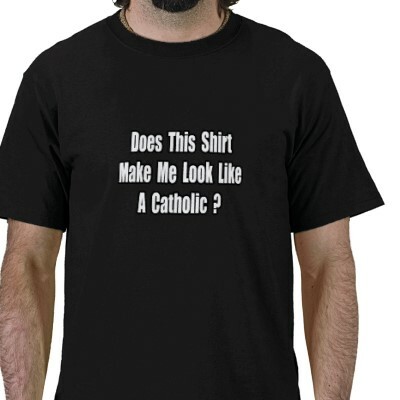 Catholics really need to think about this issue. Our very culture is at stake.